What is the status of your ecommerce business? Are you exactly where you had on being at this point or are you looking for a way to jump-start your efforts? Either way, you’ll find value on this episode of The Amazing Seller! On this episode, you’ll hear from Scott as he shares his thought of the week, gives an update on TAS tools and resources, an answer to a question from a TAS follower like you, and much more! If you are ready to put in the work and apply these lesson then this episode is for you! Did you know that in business, one of the most important things to get right from the start is a first impression? It’s true! Just think about the last time that you had terrible customer service when you were visiting a business for the first time. Would you ever go back? Chances are, you answer is, “No!” Why should you give your patronage to a business that is unwilling to put time and energy into making a positive first impression? You shouldn’t, and that’s the point! If that’s how you wouldn’t like to be treated, don’t treat your customers that way. To hear more about the important role of first impressions, make sure to listen to this helpful episode of The Amazing Seller! Don’t leave easy money on the table. Let’s face it, building a successful ecommerce business from the ground up is not an easy task! Don’t make it harder on yourself by leaving easy money on the table. If you get a product or a line of products humming along and making you money, don’t up and abandon it just because you want to go in a new direction. Use that success and build off of it, let that project bankroll your ideal project! Make sure to listen to this episode of The Amazing Seller as Scott breaks down how sellers like you can make the most out of your less appealing products! 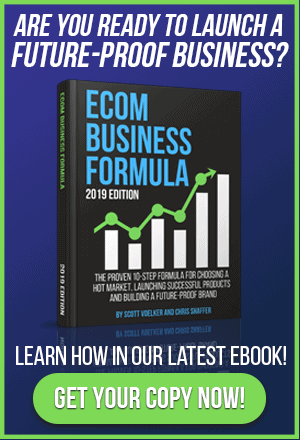 Isn’t it time that you kicked your ecommerce business into high gear? What are you waiting for? Do you expect someone to come and take you by the hand and lead you every step of the way? Don’t count on it! If you really want to build something that will go the distance, you’ve got to commit to putting Scott’s tried and tested methods into practice! For you, the next step might be to review the PACE method or attend the Brand Accelerator Live event. Whatever your next step, don’t delay – take action today! [4:20] Scott’s thought of the week, first impressions are everything! [8:20] Question: Should I relaunch an old product or start with something new? …where I answer your questions here and I do it every single Friday and I’m still doing it after 177 episodes. So this is fun. I always enjoy hanging out with you guys and keep the questions coming. I’m loving them. 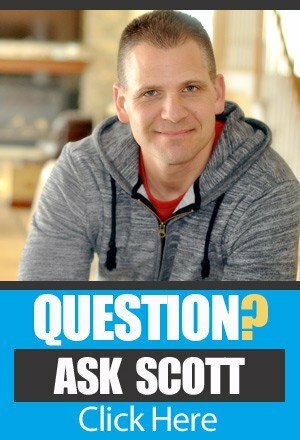 So if you want to submit your own question and possibly have me answer it on an upcoming Ask Scott Session all you need to do is head over to theamazingseller.com/ask. And you can do that. The other place you can ask a question is head over to my YouTube channel, theamazingsellertv.com. It will take you right there. You can watch videos there. I’m doing a whole series on brand building and all that stuff as far as how to figure out this whole PACE thing that I’ve been talking about. And really illustrating it and walking you through that entire process and a whole bunch of other cool things that I’m doing over there at the YouTube channel. So definitely head over there theamazingsellertv.com. Subscribe, leave a comment, ask a question, do it all over there. I’d love to see you over there. And the other thing I’d want to do here before we jump into the question today which is really, I should probably let you guys know what the question is going to be about, you probably know by reading the title, ‘Should I launch an old product or start with a new one?’ And it’s a very unique situation but it’s also something we’ve probably all asked ourselves. Is this product running out of steam? Is it a product that we’ve kind of run out of stock? We’re not sure we want to reorder again. Does it have any more life to it like those are some questions and is it easier just to go ahead and launch a new product? Great questions and I’m going to go ahead and address them in this question that I’m going to answer. Actually I answered it on the YouTube channel and I’m going to air it here in the audio form. [00:02:03] Scott: You can actually watch me answer all the questions over there on YouTube as well. All right, so that’s what we’re going to diving into. Now, I did want to remind you though. Brand Accelerator Live. This is something that was just announced. We’re already selling early bird tickets depending on when you’re listening to this. If you’re listening to this after well you can still go over and probably get a ticket and if you see that the tickets are already sold out then you can always jump on a wait list. But get all the details over at brandacceleratorlive.com or theamazingseller.com/live. This is something that I am super, super excited about and I just want you guys to know that yes it’s called Brand Accelerator Live but it’s really about how to build your business and how to do it successfully. How to build outside sales channels but then also how to leverage your current assets, whether that’s on Amazon and really optimize that further or if it’s how to take your eBay business and bring it over to Amazon. Like any of this stuff we’re going to be tying it all together here inside of Brand Accelerator Live. It’s about building a real business and leveraging assets that we can build or ones that we’re already maybe sitting on and really accelerate the growth of our business. That’s what it’s about. So I just want to let you guys know that it’s not just about private labeling necessarily. It’s about how to build a brand. Yes, private labeling has a lot to do with it but really we’re focusing on building a real business, a real brand and there’s a lot of cool things that we can do here with today’s tools that we have up there or the platforms that we have and this conference, this event is really going to be focusing all on that. It really goes hand in hand with PACE what we’ve been talking a lot about the PACE method. The four pillars to building a successful brand business. And if you missed that definitely go check that out, theamazingseller.com/pace. [00:03:58] Scott: It is a free resource for you to go over there and go through that series that myself and Chris Shaffer outlined and I also did some white videos on YouTube as well. So definitely check that out. All right, before we jump into the question let me give you something that is totally front of mind for me. It happened to me this morning and I’m going to give you my take on this. About four, maybe even more, maybe six weeks ago, I actually reached out and I wanted to start looking into possibly, possibly leasing a small commercial suite of some kind. Maybe 1,000 square foot. I wanted to have a place where I can bring my Inner Circle members. We can meet three times a year and then also be able to shoot video and be able to have meetings there with my team, any of that stuff. Like I wanted to possibly do that and I still may do it in the future. But I reached out to a real estate guy and I said, ‘Hey, I’m interested in doing this. This is what I’m looking at. Possibly even looking at maybe buying a building if there’s something that would make sense in this area. I mean it’s an upcoming area. It’s booming. Maybe buy a piece of real estate and maybe I can rent out part of it. And then use part of it. So I’m a buyer, a potential buyer.’ And so he reached back out to me, he said, ‘Oh yeah, I’ll put some things together and I’ll get back to you on Monday.’ Well, I never heard back from him. I didn’t press him because I’m not in a huge hurry. Not even sure it’s something I’m going to do right now but if something was good, if it was a good deal or a good situation or I seen that possibly even an investment property I might look into it. But he never contacted me back. So I was just kind of I’m busy with everything else going on. I’m like you know what, I’ll reach out to someone else later. Whatever. So this morning he reaches back out to me in an email and he says, ‘Hey Scott, I’m not sure if you’re still interested in looking at properties?’ I’m like, wait a minute here. Like I contacted you like five, six weeks ago. As far as I’m concerned you’re not even interested in trying to sell me something. So I basically wrote back. In business, your first impression is everything. And if you drop the ball on this what happens if we get involved in a deal? So I wipe my hands with it and I’m like done. It’s different if someone made a mistake and they came back and they are like, ‘Oh sorry, I cut you off. Will you give me a second chance?’ Yeah, no problem. We’re talking about this could be a big business deal. This could be a relationship that might do other deals. He doesn’t know maybe I’m a real estate investor, maybe I’m invested in other rentals or properties? Who knows? This guy is commercial, real estate guy. So he dropped the ball. So here’s what I want to relay to you guys, first impression is everything in business. In life too but in business especially. It so is like if someone comes to your business, buy something they have a problem and you don’t get back to them right away guess what? That’s their first impression of your business. That’s what you’re going to be doing as far as taking care of them. They’re not going to recommend anyone, they’re going to talk badly about your, probably never going to use your services again. So just really, really consider that for me. If your first impression is so, so important. So please don’t screw that up. Please do not screw that up. So I just wanted to kind of share that with you and hopefully that sank in a little bit and you already doing that so thumbs up to you if you are. And if you’re not, definitely get that fixed. [00:08:00] Scott: Now, this guy can go out there and he can have a first impression with someone else but it’s not going to be with me. He’s already made that first impression. Doesn’t work. So, let’s go ahead and listen to today’s question. ‘ll give you my answer and then from there we’ll wrap this baby up. What do you say? Let’s do this. [00:08:21] Alex: Hey there Scott. I have a question. I was doing FBA from 2016 to 2017 and I amassed a nice portfolio of four products and each one of them was doing anywhere from 500 bucks to 2,000 bucks a month in profit. So no home runs but it’s nice steady income and at the beginning of this year, 2018 I just completely abandoned FBA to focus on other business pursuits so I just let everything run out of stock and I hadn’t looked at my seller central account in months. Now I want to get back into FBA and I was wondering what your thoughts are about resurrecting older products versus starting new products. I think it will be better just start new products and I’ve already started looking at new products but it’s also very tempting to kind of go back to my old products and the products that they have a lot of reviews, they already have all the photography done and all that. It’s just really tempting to kind of try to go back and breathe new life into them. So I was wondering if you have any thoughts about that. Thank you very much ahead of time. [00:09:25] Scott: All right, cool. So Alex. First off, awesome job on launching products and making a profit. I think you said 500 to $2,000 profit that you were making on these products. My question to you would be why did you leave those products and why did you just kind of forget about them? I’m just curious on that. So maybe if you are watching or listening, if you can drop that down or private message me. I’m just curious. Probably because like a lot of us entrepreneurs, we see that shiny object and we start running towards it and maybe you seeing something else but now you’re coming back after you’ve looked at it and you go, oh wasn’t a home run but it was still generating a profit. I don’t know many people out there that would take $500 a month on something and not really doing anything with it and as much as $200 a month, that’s like crazy. So let’s get to your question because I have a lot of things going on in my head here and it would be really good if we had this open dialogue back and forth but we don’t. So I’m going to go ahead and give you my thoughts from where I think you’re coming from. So it sounds to me that you have some products that you’ve launched that did okay. My question to you would be, my first question to you would be this, are you planning on starting another brand that’s not related to these products? That would make me decide differently. Because if you said no, I’m going to add more products to this brand or this market or maybe I’m even going to drill down a little deeper in this market so that way this product still serve a purpose. So that will be my question and if you’re like no, I want to get out of that market, I want to start something fresh. Well, I’d still keep these things going, I think you can still massage these things a little bit and give them a little bit of love and probably do a little bit better and still bringing in cash flow. That cash flow can then help fuel your new thing and you’ve learned a lot and you can test things over here as well. [00:11:25] Scott: But you might be saying I’m not going to create that brand over here, I’m just going to keep these products going and they’re just going to basically keep running until they fizzle out if they ever do. But that’s going to be generating revenue right now or cash flow so you can fund this other thing. Now, let’s say for example, let’s do two different scenarios here. Let’s say that you are just going to add more products to this product suite. And I think that would be the best if you could but if you can’t because you’re not going to be doing it in the same market then it doesn’t make sense. But if you were then I would start going after some of those products inside of this brand to branch out. Or even just go a little bit deeper and then I’d start building the brand. I’d start building the email list. I’d start doing Facebook ads and targeting my ideal customer and I give them value and content and then I’d do a little bit of retargeting maybe. Like if you have some money coming in from this brand already we can take that money and we can go and apply it and really start getting some, we can get ourselves noticed in the market, it’s what I’m trying to say. And we can do that with content and if you don’t want to wait for the content to get exposure you can always run Facebook ads to it. There’s a lot of cool things that we can do there. But that’s what I’d be thinking. Like how do I serve this market? How do I add more good will to this market for them to notice me? I talked about this in a meeting that I had with our Inner Circle group and I was talking about like we’re in the business of getting attention. Like a brand needs to get attention. The problem with just selling on Amazon or a channel is we’re depending on the searches that are happening every day and that’s great but a true brand does that but they also get attention. And the way that you get attention in a cool way is to give value to the market. So that’s what I’d do. I’d start thinking around these products. If you just want to delete them you can just create some content around it as long as you are going to be using that also in this new brand. [00:13:29] Scott: If you’re not let’s slide that to the side, give that a little bit of love, maybe optimize maybe find somewhat long tail keywords that can maybe get a few more extra sales, that’s what I’d do there. Just kind of give that a little bit of love. Then I’d go over there and I’d start from scratch using the PACE model that I’ve talked about. And if you guys have missed the PACE model, theamazingseller.com/pace and that will take you there and that’s really four pillars that a solid brand, a successful brand can built upon. But that’s what I’d do. I’d take those principles and those pillars and I’d start building the brand and then I’d start looking at the market as a whole and saying okay, where can I add value with content but also lead to products that they can potentially buy. These can be physical products, digital products, all of that stuff. So that’s what I would do. I wouldn’t just forget about this stuff if it’s still bringing in money, I would spend a little bit of time to give a little bit of love and then from there let that cash flow coming in but not to keep repeating myself. I would definitely, definitely say these products over here could fuel the new brand or the business or even the current business and that’s probably what I would probably do. So it’s definitely worth spending a little bit of time. All right, so hopefully that helped you by me answering that question about an old product that you might have either forgot about or maybe just ran out of stock and you didn’t know if you wanted to relaunch it. Just some things to think about hopefully this helped you and you can think about that the next time this happens or if this ever happens to you. So here’s what I want to do. I want to give you guys a couple of reminders. If you want to ask a question on an upcoming Ask Scott session head over to theamazingseller.com/ask and you can do that. The show notes to this episode can be found at theamazingseller.com/568 and then the other reminder is brand accelerator live. Tickets are now available, they’re on sale. I’d love for you to be there. There is going to be a limit to how may tickets we have available and that will be 300. It’ what we’re going to cap this event at. [00:15:35] Scott: For two reasons. One, we want to keep it small and intimate and that’s the size room that we have in this hotel and we can’t fit anyone else. So it will be capped at 300 regardless. If you’re interested head over there, brandacceleratorlive.com. Get all the details. Pick up you ticket or tickets and this way here you can make sure that you can hang out with us and learn about building your brand and taking it to the next level. Again, Brand Accelerator Live. All right guys, so that’s it, that’s going to wrap it up. Remember as always, I’m here for you, I believe in you and I’m rooting for you. But you have to, you have to… Come on say it with me, say it proud, say it loud, “Take action.” Have an awesome, amazing day and I’ll see you right back here on the next episode.